Cesium 137 (137 55Cs, Cs-137), Cesium 137, or radioactinium, is a radioactive isotope of cesium which is formed as one of the more common fission products by the nuclear fission of uranium-235 and other fissionable isotopes in nuclear reactors and nuclear weapons. It is among the most problematic of the short-to-medium-lifetime fission products because it easily moves and spreads in nature due to the high water solubility of cesium most common chemical compounds, which are salts. 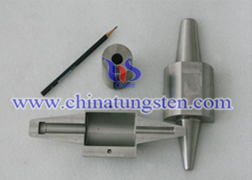 Due to its high density, excellent absorption behaviour against radiation and environmental friendly characteristics, tungsten alloy can be widely used to produce Cesium 137 tungsten radiation shielding. Cesium 137 tungsten radiation shielding can be used as place containers of Cesium 137 radiation source, and used in industrial and medical fields.Cesium 137 tungsten radiation shielding can be applied for manufacturing industrial gamma radiation source: for density measurement, thickness measurement and radiation weighting, tobacco density measurement, logging and coal exploration and development, and so on. 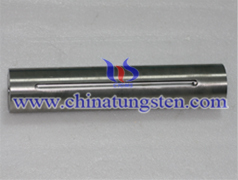 Cesium 137 tungsten radiation shielding also can be applied for gamma radiation sources in medical: cesium chloride injection can be used for cardiac scan, diagnosis of myocardial infarction and diseases. It also be can used in agricultural and biological applications: high activity of Cesium 137 sources for radiation breeding, storage of irradiated food, sterilization of medical devices. 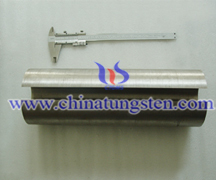 Cesium 137 tungsten radiation shielding can be used make isotopes battery and isotope heat source. Compared to traditional radiation shielding materials such as lead and boron carbide, tungsten alloy radiation shielding provide excellent density with small capacity. At the same weights high density alloy can provide the same energy absorption as lead using 1/3 less material. When the weight is certain, more density, more denser, and the thickness would be thinner. Tungsten alloy material could be made with thinner thickness but high absorption of radiation in high density. That is why tungsten alloy material is suitable for radiation shielding.Cesium 137 tungsten radiation shielding is better than lead materials for it is non-toxic.